France maintains a strict tradition of secularism and has not officially collected data on religious affiliation since the 1972 national census. In turn, discussing the religious composition of French society can be quite complicated. It is estimated that 63-66% of the population identify as Catholic, 7-9% identify as Muslim, 0.5-0.75% identify as Jewish, 0.5-0.75% identify as Buddhist and 0.5-1% identify with some other religion. A further 23-28% of the population is believed to be unaffiliated with any religion. Within Australia, nearly half of the France-born population identify as Catholic (45.0%). Of the remaining population, 35.6% identify as having ‘no religion’, 11.9% identify with some other religion, 5.7% do not state their religious affiliation, and 1.9% identify as Jewish. The concept of laїcité is considered by many to be an essential part of what it means to be a French citizen. According to the opening paragraph of the French Constitution (1958), “France shall be an indivisible, secular, democratic and social Republic” (“La France est une République indivisible, laïque, démocratique et sociale”). The word ‘laïque’ is often translated into English as ‘secular’; however, this does not convey the same sense of the word. Laїcité (secularism) may be defined as the complete isolation and separation of religious spheres from public spheres. This means that, in theory, there is an absence of religious involvement in government affairs and vice versa. For example, it would be considered a serious error for a teacher to discuss religion in a public school. Laїcité captures the common attitude of the French state and the French people towards religion. For example, many believe that there ought to be a complete division between a citizen’s public life and their private religious practice. Although the underlying aim of laїcité is to promote freedom of thought and religious expression, in some cases it prevents the free practice of religion. In 2004, a ban was placed on all conspicuous religious symbols in public schools, effectively banning the wearing of hijabs, kippas (skullcaps) and crucifixes (among other conspicuous religious wear). The ban caused some to interpret this as an interference by the government in the religious life of citizens. The topic of laїcité is debated throughout the country. Many are calling for a revision of the approach to laїcité as French society becomes more heterogeneous and multi-religious. Indeed, there are many who believe religion is a holistic way of living rather than a distinct aspect separate from other parts of one’s life. In this sense, some argue that France is a secular state but not necessarily a secular society, whereby some members believe religion is not separate from public affairs. Catholicism was once the state religion of France and continues to be the primary religion in French society. Throughout most of the country, communities began as parishes. Today, many rural villages see the local church building as a symbol of local identity. Catholicism continues to play a notable role in French society. The church bell rings to mark deaths and weddings. Many people have their infants baptised and most private education in France is Roman Catholic. Many Catholics feel as though the church helps uphold traditional family values, authority and a sense of moral order in society. However, given the prevalence of laїcité in French society, many prefer to practise their religious faith outside of religious institutions. Only a minority of those who identify as Catholic regularly attend and participate in communal religious worship. Islam is thought to be the second largest religion in France, following Catholicism. The greatest number of Muslims immigrated to France in the 1950s to 1960s during the decolonisation period. Many of these migrants came from the Maghreb (northwest Africa) – namely Algeria, Morocco and Tunisia. Today, France has one of the largest Muslim populations in the European Union. For those who migrated to France, many feel as though the religion is a part of their culture. Indeed, many of the younger generation of Muslims often embrace Islam as a cultural identity. 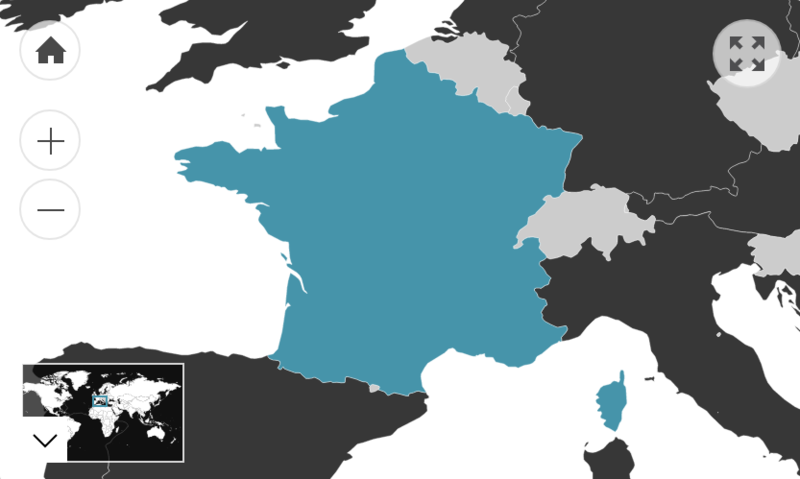 France also has the largest Jewish community in the European Union. The events of World War II had a significant impact on the Jewish community in France. It took numerous decades for the country to recover. In contemporary France, the Jewish community continues to pay homage to their spiritual and religious heritage through passing on traditions and knowledge from generation to generation within their family.